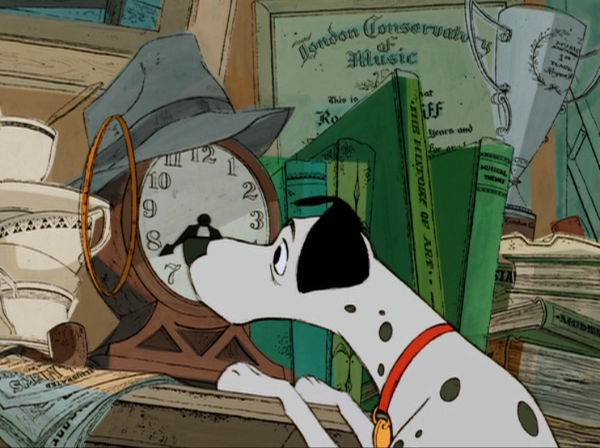 101 Dalmatians – Everything is Oll Korrect! I’ve already covered each major Walt Disney film individually as part of my Uncle Walt-a-thon project (except The Jungle Book, but he died during the production of that one and Netflix doesn’t have it, so I’m skipping it), but it occurs to me that I haven’t yet shared any thoughts of the project as a whole. So, here are some general impressions and a highlight reel. Overall, there weren’t any surprises. Based on my childhood memories of these films, I expected a bunch of well-animated children’s films, and that’s what I got. The stories are fairly standard fare for family films, so what interested me most going in was to see how animation improved or changed over time. It’s another dog story set in London. This does allow some cameos from Lady and the Tramp side characters, but between these two films and Peter Pan, part of me wonders whether it’s just a coincidence that Disney chose to adapt three works all set in England so shortly after each other (more than that if one includes Alice in Wonderland and Sword in the Stone). Just a fondness for the setting?